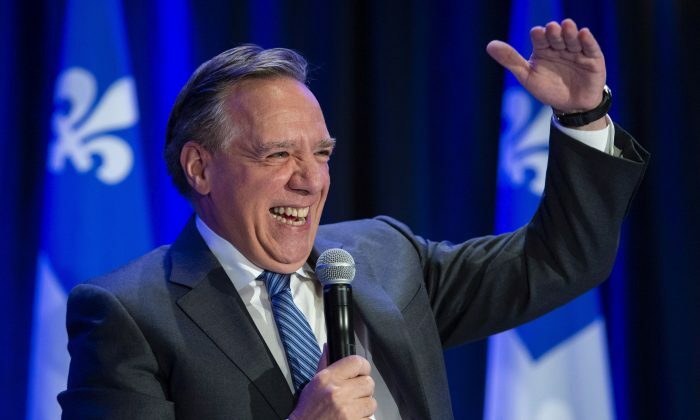 Quebec Premier-designate Francois Legault will be welcoming a host of new faces along with some more familiar ones as his party forms Quebec’s next government. Aside from Legault and a handful of veterans who have been at his side since Coalition Avenir Quebec’s first election in 2012, his team features many political newcomers. They include a former police officer, an economist who advocates for small government, a pediatric surgeon, and an Olympic speed skater. Legault said his new cabinet will be sworn in within the next two weeks, and he will have some experienced choices when filling such top posts as finance and health. A Canadian scientist who became only the third woman to win the Nobel Prize for Physics said her personal triumph doubles as a sign of progress for her male-dominated industry. Donna Strickland of the University of Waterloo in Ontario won part of the US$1.01 million prize, which she shared with Gerard Mourou of France and Arthur Ashkin of the United States. Strickland’s victory ended a 55-year drought for female physicists being recognized by the prize committee. Marie Curie was the first woman to claim the honour in 1903, followed by Maria Goeppert-Mayer in 1963. A new report suggests a controversial commercial spyware was used to infect the cellphone of Omar Abdulaziz, a prominent Saudi political refugee and activist living in Quebec, shortly before Saudi authorities arrested his brothers and friends. The allegation is detailed in a new report following an investigation by Citizen Lab, housed at the University of Toronto, which has been raising alarms about the spyware known as Pegasus. Pegasus is a surveillance program marketed to governments as a tool against terrorists and criminals, but which Citizen Lab says has been used by repressive regimes against human-rights workers, journalists, and others. Citizen Lab researchers say Abdulaziz’s cellphone was one of dozens around the world infected with Pegasus, and that it was being monitored from Saudi Arabia. Canada joined more than a dozen countries Wednesday in signing a deal that would block commercial fishing in the High Arctic for 16 years. The deal commits the countries to a major program of scientific research to unlock the mysteries of the top of the world before leaping in to exploit its resources. Experts hailed the signing ceremony, which took place in Greenland, as a rare example of the world coming together to prevent environmental problems before they start.